The Button Front Vest is a fitting accent piece to an already stylish uniform! 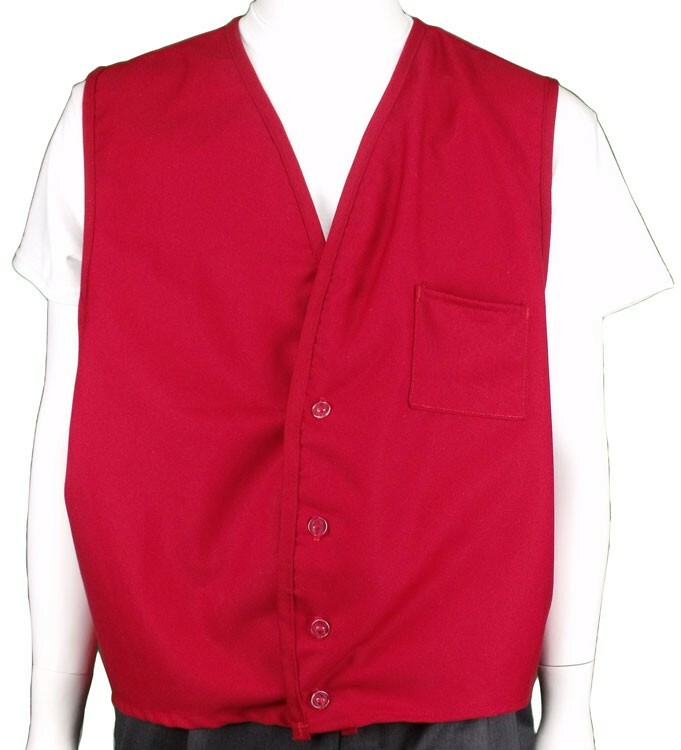 The professional-looking vest measures 24 inches x 22 inches and is made out of poly-cotton twill. Also features matching binding at the neck, armholes and front, hemmed bottom, three buttons on front and a divided pencil pocket in chest area. For your convenience the product comes in a wide variety of colors and sizes for you to choose from.